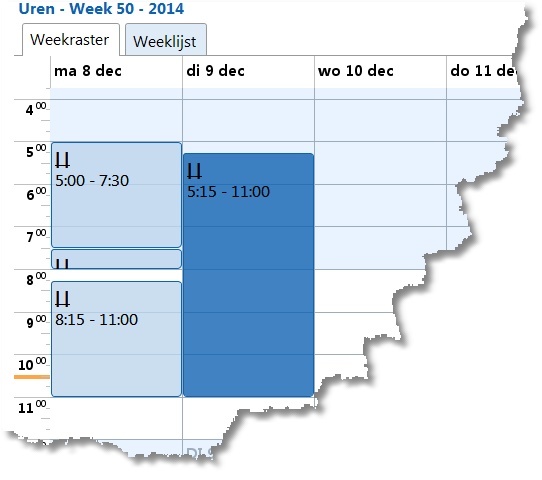 Graphical view of the week (more or less like in Outlook, for example), showing the hours displayed. The size of the planes does not depend on the duration of the hourly booking. This display is especially useful if you enter a lot of short bookings, these short bookings are shown in the weekly window so little that the content can not be read in one can. TimeWriter is a very flexible software package for hours tracking, and more. Developed by XSO programmers at xBase Software Development, it receives regular updates and personal support. We are also available at any time to help you with the installation and use of TimeWriter.